Getting hitched? 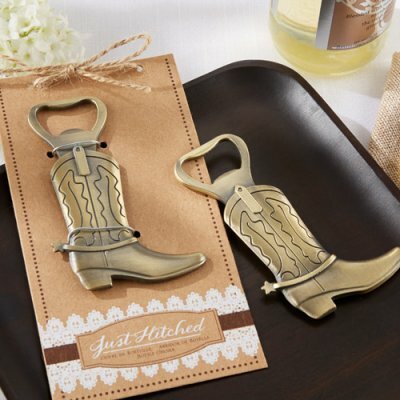 Then opt for this fun "Just Hitched" cowboy boot bottle opener as favors for guests. These bottle openers are ideal for a rustic, barnyard, or cowboy themed event. Hand out during the engagement party or reception for a useful and on-theme accessory. Or give away as favors at the end of the night. Guests will appreciate this functional gift and will look back at your "getting hitched" party fondly.